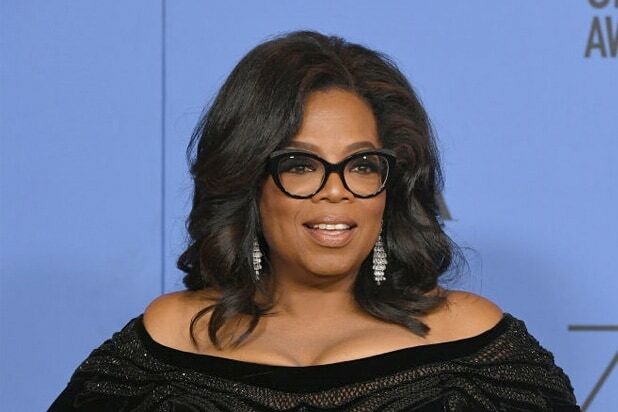 Oprah Winfrey is among the residents of communities affected by mudslides centered near affluent Montecito, Calif. this week after rainstorms flooded areas already damaged last December by powerful wildfires. On Tuesday, the mogul honored Sunday at the Golden Globes, posted a video to her Instagram account showing some of the damage to her neighborhood. Thirteen people have died, with at least 25 other people injured by the mudslides that began early Tuesday morning. 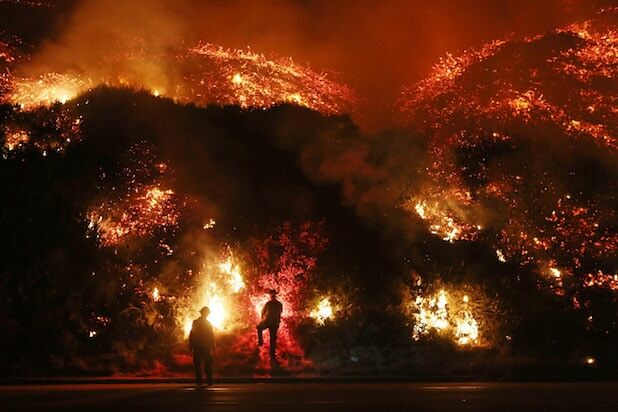 In addition to deaths and property damage, the mudslides also ruptured a gas line and closed part of the 101 freeway. In her videos, Oprah gave followers a glimpse of what that looked like on the ground. One video showed the fire that erupted from the broken gas line; another showed a helicopter flying overhead looking for survivors; another showed the damage on Oprah’s property, with mud at least ankle deep in her backyard. See the three videos below. What a day! Praying for our community again in Santa Barbara. Woke up to this blazing gas fire. then swipe left to see how deep the mud is in my backyard. Helicopters rescuing my neighbors. Looking for missing persons. 13 lives lost. #Mudslides. Firefighters monitor the Thomas Fire along the 101 freeway north of Ventura. Taken on Dec. 7, 2017. Approximately 45,000 acres have burned in the fire, with over 430 homes and buildings destroyed. Thousands have been forced to evacuate. A firefighter sprays water on the remains of a home destroyed by the Thomas Fire in a residential neighborhood on Dec. 5, 2017 in Ventura, CA. Taken on Dec. 5, 2017, firefighters douse the remains of an apartment complex. The remains of an apartment destroyed by the Thomas Fire. A resident hoses down a burning structure in Sunland, CA during the Creek Fire on Dec. 5, 2017. Taken Dec. 5, 2017 in Sunland, CA. Strong Santa Ana winds are rapidly pushing multiple wildfires across Sunland and Ventura, expanding across tens of thousands of acres. Strong wind blows embers from the smoldering ruins of a house at the Creek Fire on Dec. 5, 2017 in Sunland. People walk while viewing the Creek Fire burn on a hillside in the Shadow Hills neighborhood on Dec. 5, 2017 in Los Angeles. View of the Creek Fire from the Shadow Hills neighborhood. Ranch hand Anthony Martin hoses down stalls where some of the 29 horses and numerous other animals had died in the Creek Fire at Rancho Padilla on Dec. 6, 2017 near Sylmar, CA. Ranch hands Angel Flores and Anthony Martin (R) hose down smoldering property near stables at Rancho Padilla on Dec. 6, 2017 near Sylmar, CA. A dead horse killed in the Creek Fire. Taken Dec. 6, 2017 near Sylmar, CA. Taken Dec. 6, 2017 in Ojai, CA. Taken along the 101 freeway on Dec. 7, 2017 north of Ventura, CA. Taken along the 101 freeway on Dec. 7, 2017, north of Ventura, CA. A desolate stretch of freeway in Los Angeles.